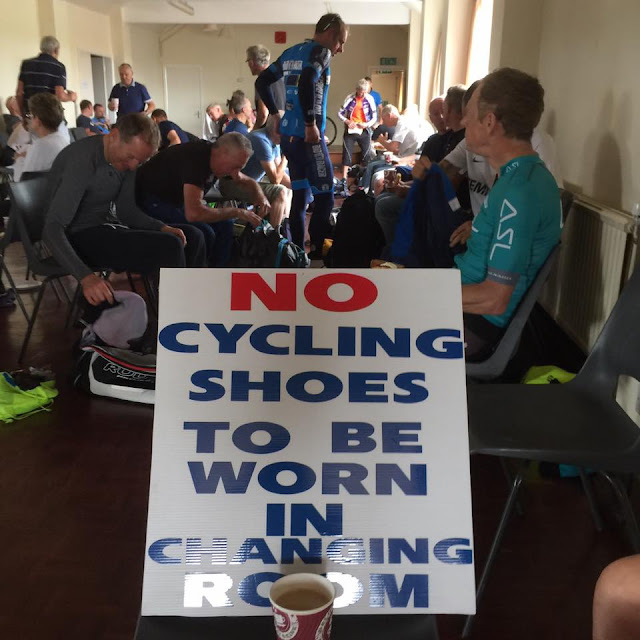 Too old for racing? Age is just a letter. | theraceforthecafe.com . Too old for racing? Age is just a letter. My 2017 race season is now just about over, although I may do the odd cyclocross event before the ground gets too wet. I am not a massive fan of riding around muddy fields if I am honest but I know lots of people who absolutely love it - and good luck to them. For me my focus is already turning towards the 2018 season and I am looking forward to racing in what will be my 34th consequitive competitive season. This year my season was interupted by an enforced two month break recovering from fractured ribs sustained in a racing accident. Anybody who has had fractured ribs will know that they are pretty painful and also, take a frustratingly long time to heal. In the couple of months that I was not racing I had plenty of time to ponder on the wisdom of continuing to take part in the highly competitive Category 3 and 4 circuit races and criteriums that have in the past made up the bulk of my race season. I came to the conclusion that (in my case) the possible rewards did compensate for the potential risks. The reality is that the best result I could hope for at my age in an average 3rd/4th Cat circuit race was to get round and stay upright. Rolling in at the back of the bunch had become not only my normal finishing position but my main objective. If I got to the bell lap still in contact with the main bunch that was job done. In the last couple of seasons I haven't had the legs to be contesting sprints nor if I am honest with myself have I had the courage to be mixing it in the gallop with the young lads, who unlike me seem totally unfazed by the prospect of hitting the deck at 30+ mph. So I made the decision to stick to age related racing for the remainder of the 2017 season and I am really glad I did. What a difference it makes to be racing with guys who are a similar age and similar fitness and who generally speaking treat staying upright as a major priority. So my 2018 season which I am already looking forward to will be made up entirely of age related races. The LVRC was formed in 1986 and was the idea of Percy Thornley Stallard - the same Percy Stallard who 44 years earlier had been responsible for the re-introduction of road racing on British roads. Stallard proposed that veterans' races should be organised in age-groups and he formed the LVRC to make that possible. The LVRC is for male and female riders over 40 years of age and racing is in 5 year age bands A - I. One of the good things about LVRC racing, especially for anyone new to racing is that if you are not sure how your good your fitness is you can race in an older age group if you want to. 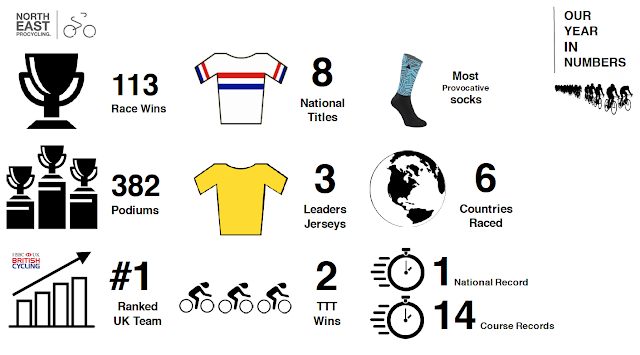 TLI Cycling was originally known as The League International formed in 1982 and initiated by the late Peter Duker and Roy Cottingham, their idea was to introduce European style age related racing to the UK based on the system used by the International Cycling Federation. In 2006 the name was changed to TLI Cycling and Later to TLI Cycling Ltd. The organisation has an increasing memvership and a rapidly expanding race calendar. 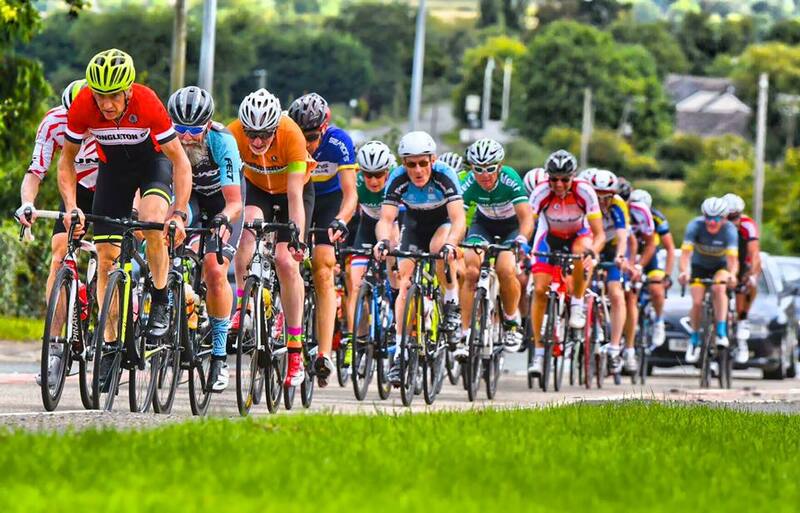 The main difference between the TLI and the LVRC is that the TLI organise races for all age groups starting from 16 up to 40 (Bands J,S and M) and from 40 years up to 75+ (A-H). 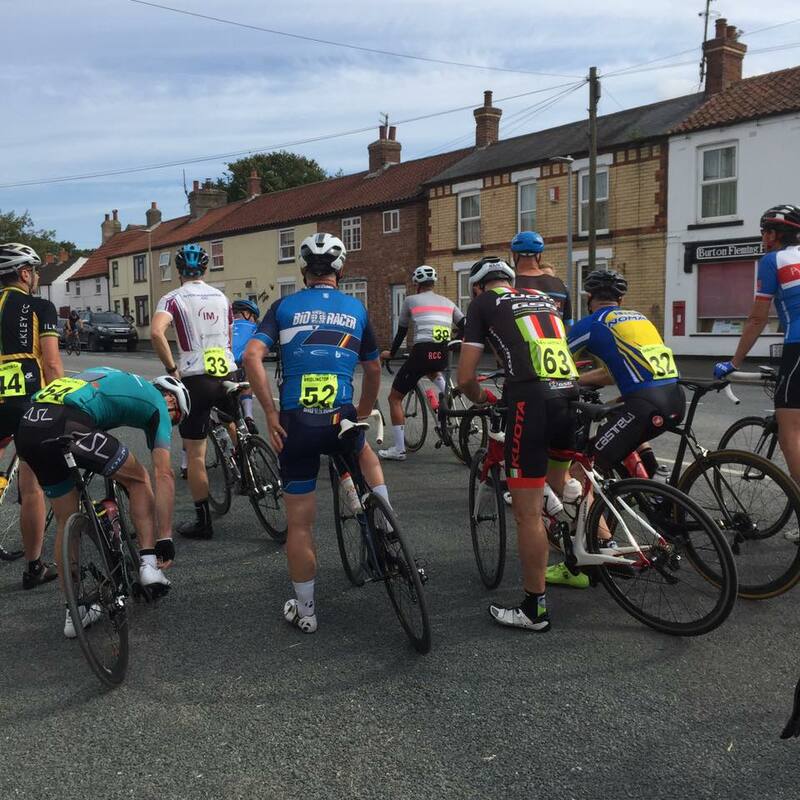 One of my last races of 2017 was the LVRC East Coast Road Race at Sheriff Hutton, a really well organised race - above the Cs and Ds prepare to start. But even at the most well organised races there can occassionaly be problems on the course - particularly as in this case when the race is at harvest time. No real issues this time though, the bunch was still all together so a couple of minutes delay and away we went. 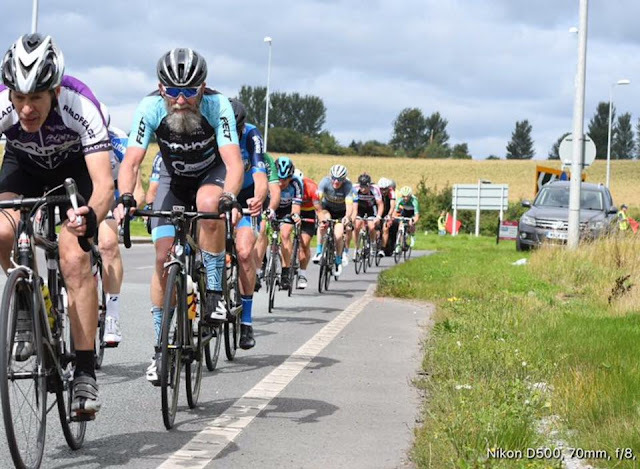 I was fairly happy with my race at the TLI National Champs staying near the front for most of the race although I did run out of legs in the finale. 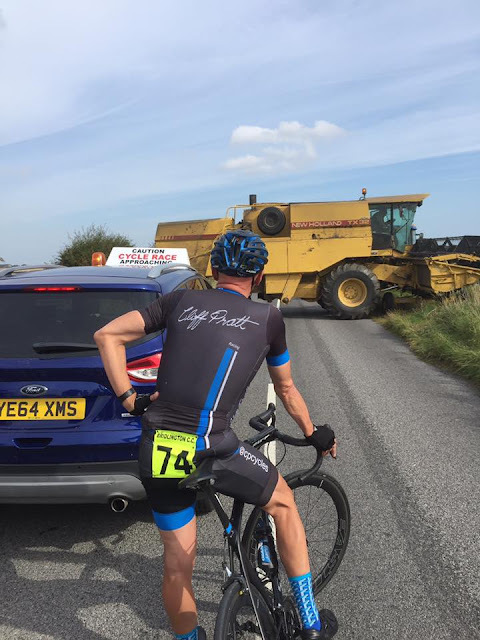 At 60 miles it was my longest race of the season and doing a bit too much in the early stages caught up with me on the last lap, a lesson learnt for next year. 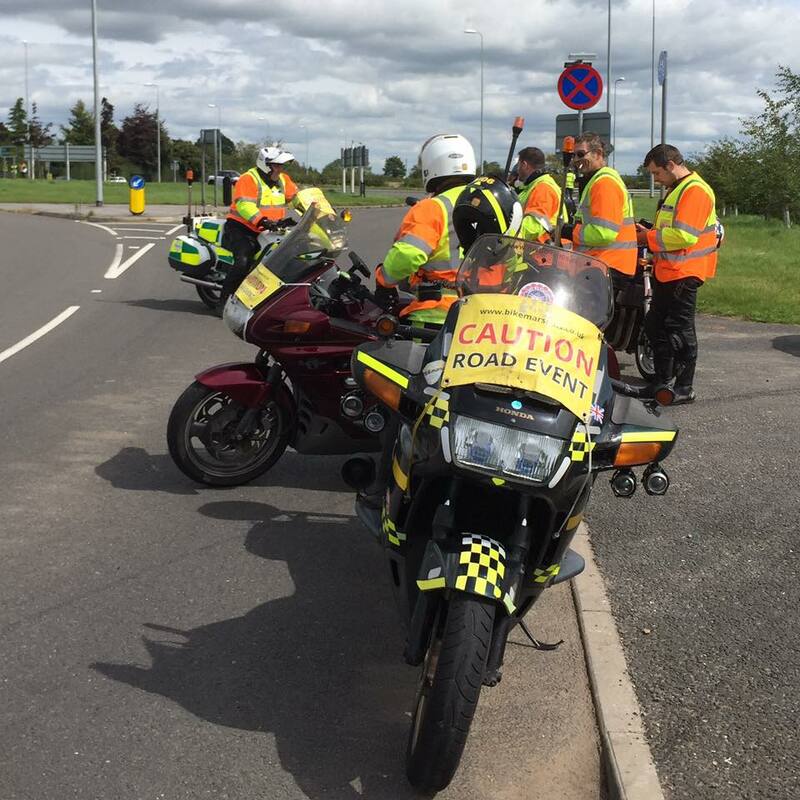 Motor cycle marshals from Bikemarshals did a superb job at the TLI National Road Race Championships in Wrexham allowing the racing to go ahead in a controlled safety bubble. The village hall at Isycoed on the Holt circuit near Wrexham HQ for the TLI Nationsl Road Race Championships. There is always a fairly relaxed atmosphere at age related races (even the National Champs) but some rules MUST be obeyed ! So my season is now over and the 2017 road season has also come to close for the team http://neprocycling.co.uk/ .